How it was at first! The three of us were all charged up to test the idea. We knew exactly how this thing is going to look like when the final product is ready. It’s was all in our mind. We had the quintessential presentation and sheets of paper on which we ideated first– sketches, codes, strategy – the works! The business idea firmed up and we were now set to go ahead and start building it. The trouble though was we did not know, where do we start working from. Every startup starts from a garage. But they are lucky to have one. All we had were apartments in three different locations. Yet we agreed that this is where we must start from. Working from home – I bet you have done it too. I have tried it in the past, but have seldom succeeded. From sport, to stocks to catching a movie, every bit of TV is tempting, especially when you can lie down with a packet of chips and cola. There are no dress codes and no reason to shave. Who cares, I am on my own and I will get my work done. All we needed to do was to make sure we were “online”, and online I was – but on my Playstation, trying to master Bradmans Cricket. Before I knew, I had a 100 messages on my WhatsApp and some 10 missed calls. This wasn’t gonna work out. I spent a considerable time sitting out of one last year. It was fun initially because there were not many people and I could eat or drink when I wanted to. The internet speed was not bad and with my headphones, I could block out much of the noise and work. Soon enough the café manager’s smile became smaller. I was using up a table for almost 6 hours a day all for a couple of coffees and a sandwich. Then more people came in and it was always about finding a space close to a power source. In a couple of weeks, the coffee tasted stale and the food unpalatable. Do you really want to spend on food and drink that you despise, just so that you get to use their wi-fi the whole day? I gave up soon after. By now, I was frustrated and thought to myself that we needed to get an office if the three of us had to get this going. While we didn’t necessarily need to be together, we needed a serious space from where to begin. Some place where we are not distracted, some place where we don’t have to fight over who got first and who gets to charge their mobile phone. We were missing our office cubicles – the very space that we hated. Work should be fun, but in the end its need to be done. So we started looking for an office, quite unaware of what was in store. Bangalore + Techie = everything online. So we registered on a couple of the sites. It seemed easy, just enter the location, your budget and there we had it – so many to choose from. We felt assured that we can close it in a day and have it all. Reality though dawned on us by the time we hung up with the fifth caller. Invariably the person on the other side was a real estate agent and most listings that seemed appropriate were fake, or as they told, “Sir, that property is gone sir, only yesterday some IT fellow signed it sir”. We did the mandatory, follow-the-agent-in-your-vehicle in HSR layout, but all along found none that suited our needs – we had places too large for our needs, too boring to work out of, or simply unaffordable. The bottom line, increase your budget and we will show you some place good. Act 3: Yes We Have It ..!! There were three of us, and it was day 3, so we said, this has to be our lucky number. By now, we had upped our budget (after all, billions would flow, once the product hit the market), compromised on the location and were also ok if the office was bigger than what we needed. We wanted to close it. We were falling behind on our actual task. As I parked by car and got to this office that our broker had for us, my partners were all smiles. We had it they said. No doubt this was the place we wanted to sign. It was way above our budget, and was a bare shell, but a good location. After all, we didn’t want to discount the advantages of being close to NIFT. It will be like college days we thought. We were all set. Just as we thought we had the deal all sealed up, it seems the owner thought of upping the ante. After all, we were the IT guys, we could pay more. He asked for a maintenance charge over and above the rent. We would have paid, had it not seemed that the guy just wanted to milk us, now that we seemed convinced. We didn’t want it anymore. We didn’t want to look at any other offices and walked straight to the closest coffee shop. We had to decide, and decide right then – what’s it gonna be! We needed to a place to work from. Yes, we wanted to be a part of NASSCOM incubator, but where do we go till then. So we added up the cost! We were suddenly looking at a cash outgo of close to 5 lakhs with a recurring cost of 40 K a month! All this, when we were yet to make any real progress. Suddenly work-from-home and the coffee shop looked like heaven. We needed a solution, a workplace that worked for us. We had heard of co-working spaces, but never really used one. It seemed like the only option. So here I am, in the heart of Koramangala – at a co-working space with about 40 others, each to themselves. It took some time to find this space, but once we got here, we had it all – a nominal deposit, an awesome internet connection with a backup line, power back up, additional meeting rooms, if we wanted to use. All that we wanted, but at a fraction of the cost. We are now a team of 5 and I don’t worry about adding more. Parking gets a little tricky, but then, what is life without a little challenge. This is our office, till we ring in the billions, or maybe forever! So all you start-up folks, my two-cents – don’t bother about an office, you don’t need it. Dump the coffee shop too, you’re spending money and consuming calories. Look for some shared spaces and plant your team. It’s easy on your pocket and who knows you may just find people to work with you. 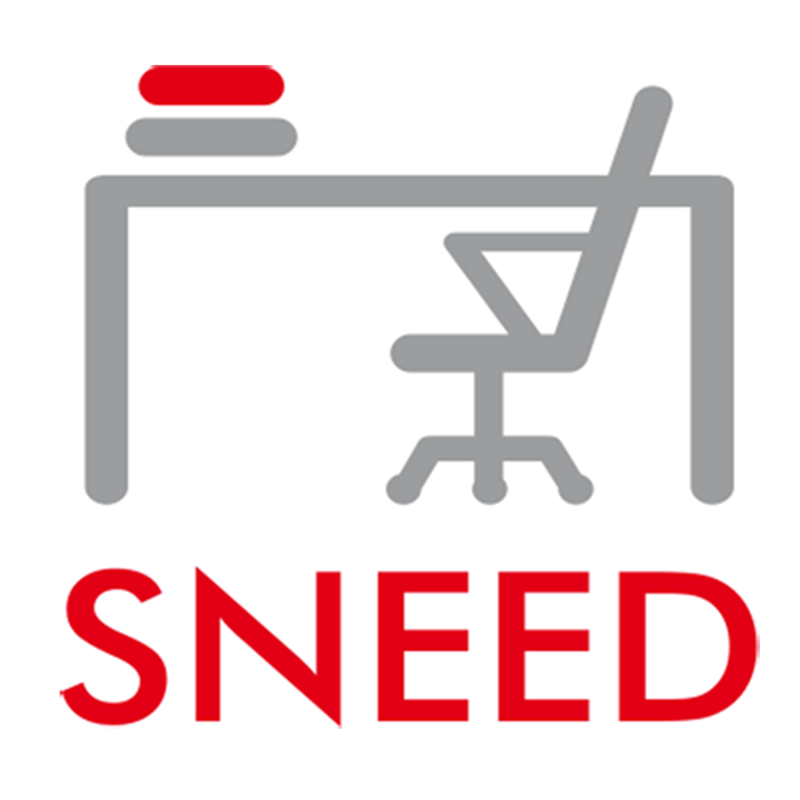 SNEED is a workspace aggregator. An online portal that helps users discover workspaces on demand. Enquire / Book easily if you are looking for workspace, desks, meeting room, seminar, workshop, training or event space by the hour, day or longer periods. Live In Bangalore now.